When you need fine art storage solutions, trust Moishe’s Mana Fine Arts, NYC’s premier specialized storage leader for over 30 years. Our Mana Fine Arts facility utilizes state-of-the-art temperature, light and humidity controls: the perfect solution for many museums, galleries, artists and auction houses. Our Mana Fine Art Storage facility exclusively handles large or small art collections, whether they are personal or commercial, for long- or short-term. The security features we offer in our Mana Art Storage are unparalleled anywhere else in the NY Tri-State area. First, our Mana Fine Arts NYC moving trucks are different from other art storage providers. Moishe’s moving trucks come with standard temperature control, but in our fine art storage transport trucks, even more attention and care is taken in the padding and preserving of your valuable museum pieces to keep them in pristine conditions. Visit our walk-in locations in the Bronx and Queens to see the Moishe’s difference for yourself. When you store with Moishe’s, we assure your 100% customer satisfaction. That includes the promise that your valuables will stay protected under our surveillance and continuous CCTV camera recording, 24/7. We are the only storage provider in the NY tri-state area that allows you 24-hour access with round-the-clock security officers and constant monitoring and patrolling. Moishe’s Fine Art storage utilizes constant CCTV recording cameras in every hallway of our storage space, as well as security checkpoints, state-of-the-art burglar alarms, motion detectors and the latest in fire suppression technology. We also provide inventory storage with digital photographic documentation of each piece you store with us at Mana Fine Art storage. Perfect for the commercial art dealer or private collector: the ability to check on the status of your art collection 24/7, from the security of your home or office. We offer a variety of cataloguing services: by dimension, descriptions, condition or cubic feet. Whether your fine art collection is for pleasure, profit or investment purposes, Moishe’s specializes in climate-controlled fine wine and fine art storage, as well as skincare storage for our commercial clients in NYC and Chicago. Moishe’s is Manhattan’s premier specialty storage provider for over 30 years. Our Mana Fine Arts NYC self storage units near me will impress you from the moment you enter our doors. 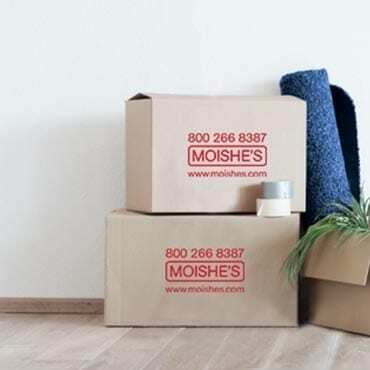 Stop in today to our Mana Art Storage facility in Jersey City; or schedule a consultation with one of our friendly account managers and come experience the Moishe’s difference for yourself. You won’t find a cleaner, more affordable, totally secure art storage facility anywhere in the NY Tri-State area. That’s the Moishe’s guarantee. Contact us to get started! Moishe’s Self Storage offers some of the most high quality and affordable fine wine storage New York can provide. At Moishe’s Self Storage, we’re not just storage people, were wine people. We want to provide an environmentally controlled space for the wine-lovers of New York to indulge in their passion and grow their personal fine wine collection. New York City is a hot bed of culture, fine wine, and amazing food. Moishe’s Self Storage wants to provide the amateur fine wine collectors of New York City with a space to grow, literally! 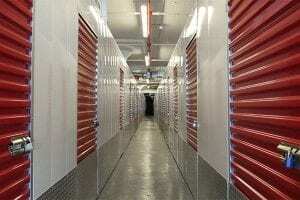 For your convenience, we offer storage units in Queens as well as units in the Bronx. All of Moishe’s Self Storage fine wine facilities are equipped with the state-of-the-art technology to achieve the epitome of environmental control for our customers. Our fine wine storage units are kept at a cool and comfortable 55 degrees, to ensue that your fine wine collection will be protected from damaging temperatures and environmental contaminants. Moishe’s Self Storage understands that wine is a living and breathing product that necessitates respect to be enjoyed! That is why all of our wine storage facilities also monitor humidity levels, light exchange, and vibrations. Made out of concrete and steel, all of our facilities were constructed to reduce vibrations and decrease the likelihood of your wine collection being shaken. We also keep all of our specialized storage units at 70% humidity to control for evaporation. No matter the number of your collection, your fine wines will be treated with the upmost intentionality at Moishe’s Self Storage. Moishe’s Self Storage also cares deeply about the security of our customers’ collections. 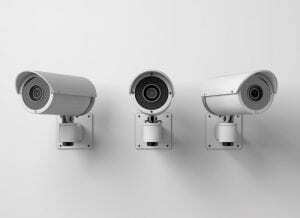 All of our facilities are equipped with high tech security procedures and systems. Our closed circuit video monitoring system will keep a close eye on your wine, while our security guards continually patrol the area. Moishe’s Self Storage works hard to make sure that the only person that gets their hands on your wine is you! For the best fine wine storage New York can offer, contact Moishe’s Self Storage. High quality wine storage for an affordable price- we’ll toast to that! If you live in New York City, the terms “extra space” and “New York” is an oxymoron. New York is one of the most space starved cities within the United States. New Yorkers barely have space to live, how are they going to have extra space for storage? At Moishe’s Self Storage, we make the term “extra space” a reality for New Yorkers living in cramped apartments by offering some of the most high quality and affordable extra storage space New York has ever seen. Maximizing the functionality of your apartment is as easy as calling Moishe’s Self Storage. Our professionally trained and friendly representatives will be more than happy to help you decide what storage unit package will be the best fit for your unique needs. If you are looking to store some infrequently used items, or seasonal decorations, our 5 by 5 foot storage units are perfect. However, if you need a little extra room, we also offer a wide variety of storage unit sizes, such as our 5 by 7, 6 by 10, and 5 by 10 foot units, just to name a few! Moishe’s Self Storage has a unit that can accommodate any items that you need stored. If you are in the market for a short-term solution to your storage problems, Moishe’s can help with that as well. Storage units are a great way to free up some valuable apartment space for parties or a family get-together. Our 5 by 5 foot and 5 by 10 foot units are an excellent option to store large and awkward furniture that take up valuable apartment space. Don’t settle for an apartment that is cluttered and claustrophobia. Moishe’s Self Storage is here to provide the extra storage space New York residents deserve. Contact us today to speak with one of our competent and experienced storage representatives about our specials, affordable prices, and availability. Moishe’s Self Storage provides our customers with some of the highest quality fine art Storage New York can offer. Whether you are an amateur collector, the curator of a New York art museum, or the director an art gallery, Moishe’s Self Storage can help you grow your collection in an organized and secure way! For over 30 years, Moishe’s Self Storage has been providing New York residents and businesses with high quality and affordable storage solutions. We are ready to help you, your gallery, or your business pursue your passion of fine art! Fine Art Storage New YorkWhen it comes to fine art storage, Moishe’s Self Storage understands that environmental factors are important. Humidity, temperature, vibrations and light exchange can all negatively impact the quality of sensitive or historic pieces of art. Moishe’s Self Storage provides our patrons with the highest quality environmental control. Made out of concrete and steel, our modern art storage units were constructed to decrease vibrations from the hustle and bustle of the city. Levels of humidity and light exchange are continually monitored to make sure that the quality of your art collection remains pristine! However, environmental factors are not the only threats to the quality of your fine art collection. At Moishe’s Self Storage, we take the security of our customers’ collections very seriously. All of Moishe’s Self Storage art facilities are equipped with state-of-the-art security systems and procedures. Our video monitoring system will watch over your priceless collection 24/7. We understand that, when you entrust your art collection with Moishe’s Self Storage, it is our responsibility to keep your art collection safe and sound. Fine Art Storage New YorkIf you are in the market for the best fine art storage New York can provide, look no further than Moishe’s Self Storage. If you are a lover of art and need a place to store your priceless collection, contact Moishe’s Self Storage today. Contact us today with inquiries, or visit our walk-in Moishe’s Self Storage locations in the Bronx and Queens to speak with a representative.